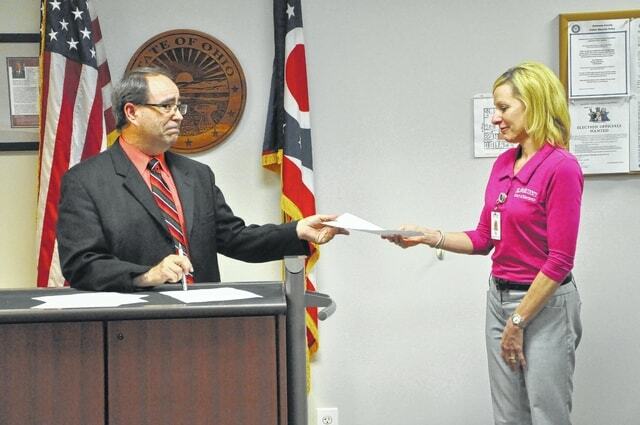 Delaware County Commissioner Ken O’Brien on Tuesday officially resigned his seat. O’Brien, who has served as a commissioner since he was elected in 2008, said the decision was necessary due to changes in the state’s public employee retirement systems. If he did not retire before the beginning of a new state fiscal year today, he was potentially leaving hundreds of thousands of dollars in future pension benefits on the table, he said. The changes that precipitated his retirement were necessary to protect public-sector pension funds, however, they have led to an exodus of employees, said O’Brien, who served as a public school teacher for 19 years before entering politics. O’Brien, who at times fought back tears during the announcement, said he has been contemplating the decision for four months, but ultimately decided Tuesday before scheduling a hastily arranged press conference at the Delaware County Board of Elections. In his nearly seven years in office, O’Brien said he is proudest of helping to bring an outlet mall to Delaware County. O’Brien at times publicly sparred with the six other commissioners he served with over the years, but said he felt it was an important part of the governing process. “There was true debate in the commissioners’ office,” he said. While he plans to step away from the commissioners’ office, he did not rule out a future run for public office. If elected, he would still be able to collect his full pension. “I think that I’ll be an active resident,” he said. His colleagues, Commissioner Gary Merrell, also expects O’Brien to stay involved. The Delaware County Republican Party’s Central Committee will have 45 days to select someone to fill O’Brien’s seat. “The party thanks Ken for his service to the people of Delaware County and we wish him the best in his future endeavors,” said Chairman Jim Schuck. O’Brien is the second commissioner in as many years to not fill out his full term due to changes in the public employee retirement system. Former Delaware County Commissioner Dennis Stapleton stepped down from his seat at the end of November 2014, with about a month remaining in his term.